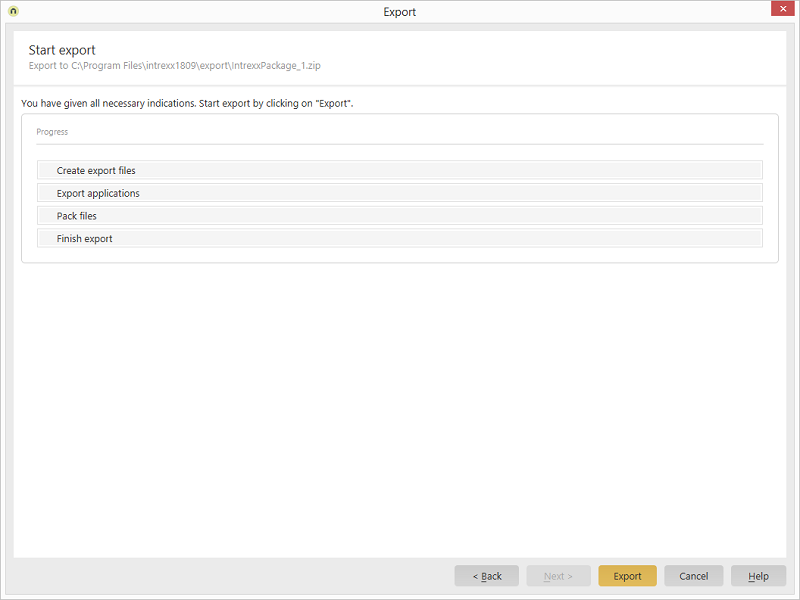 Export Export / Select objects to be exported / Click on "Next" or Import / Select objects to be imported / Click on "Next"
This dialog informs you about the progress of the export / import. Start the export process by clicking on "Export". Start the import process by clicking on "Import".